Los Angeles, CA -- The doors of Los Angeles’ Hammer Museum opened and within minutes teenage girls and hipsters were elbowing press photographers and grandmothers for the best view of the stage, there was even a legitimate stampede for front row seats. Who could inspire such widespread fascination and near pandemonium? Every year the L.A. Film Fest chooses an influential cultural figure to be its artist in residence and this year they tapped none other that Skateboard P. He sat down with former New York Times film critic Elvis Mitchell for a wide-ranging discussion including his favorite movies, the current state of hip-hop and a possible acting career. 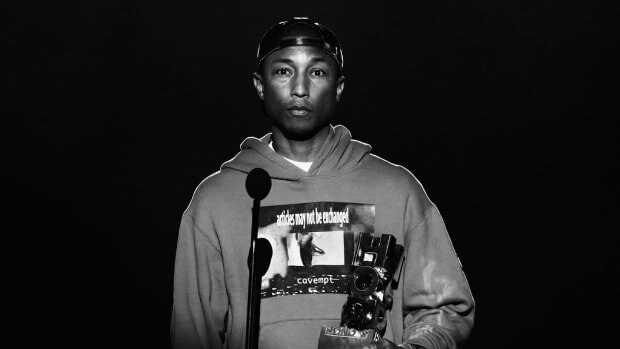 As part of his duties Pharrell selected two movies to show at the festival; National Lampoon’s Vacation and Close Encounters of the Third Kind. “It was the first movie that pulled me in,” said Pharrell of the 1970’s sci-fi classic. 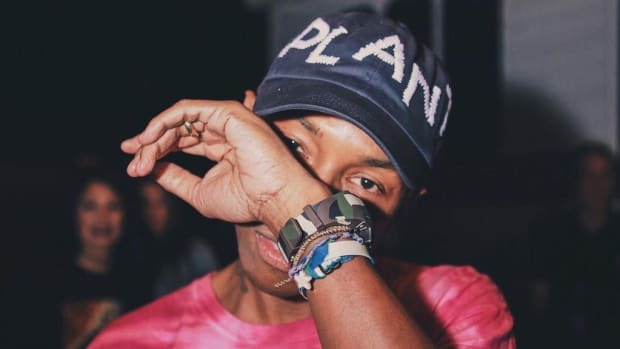 Besides setting off a life long fascination with space travel, his label is called Star Trak after all; Pharell identified with Richard Dreyfuss’ character in Close Encounters, a man who believed in the unknown despite the skepticism of others. Talk quickly turned to hip-hop as Pharrell denied rumors of an acting career. “I don’t want to be that guy who’s everywhere. I don’t want to be selling my own toothpaste,” he said. But he was also quick to point out the similarities between the acting and music professions, saying he adopted characters and personas for songs and albums. 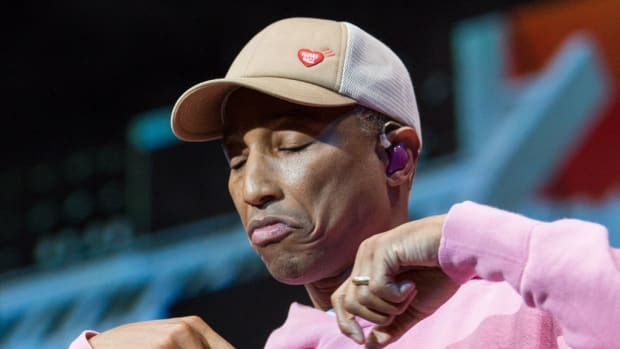 The pressure to conform to expected hip-hop clichés can wear on a man more interested in watching Discovery Channel shows than partying at clubs, but Pharrell is committed to following his eccentric creative vision. “That sh*t is the funniest thing I’ve seen in my life. I’ve got the whole thing memorized. It’s genius,” said Pharrell as he launched into an impression and hundreds of people scrambled to write down the name of the clip. If Pharrell can bring that much fame to a YouTube clip, rentals of Close Encounters should skyrocket. It appears he really is one of the most influential people in America; his name is…Skate…Board…P. Pharrell, you're far too humble. "It was about letting my ego jump off that building, a shadow of me jumping off, and another incarnation flying to the sky."